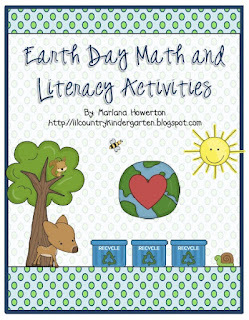 Lil Country Librarian: Earth Day the Kindergarten Way! Earth Day the Kindergarten Way! So, this year, I’m going to do something about it. Implementing the new Common Core Standards this year has been a blessing when it comes to thematic teaching. We’ve ditched our Reading manual and now we’re on our own in all academic areas. Kind of scary, but definitely great! Since Earth Day falls on Sunday, April 22, my class will be celebrating all week next week. I created the following mini unit to go along with our Earth Day festivities. 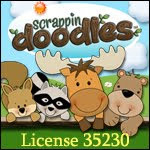 It is $2.50 in my TpT store. It includes activities for Shared Reading, graphing, Write the Room, Charts, etc. Click on the picture below or here to take you to my store. For Monday, I called our local Lowe's to see if they could collaborate with us to help our students build something and they said yes! They will be coming to our school to host a Build & Grow Clinic to help our Kdg. students build an Earth Day kit. I'm super excited about this! There will be lots and lots of hammering! They are also bringing little aprons, goggles and patches for the kids. I'm excited for the experience! I called our High School Counselor to see if we could get several high school students to help us since we've never experienced 60 students hammering at one time. Thank goodness she said yes! Ha! If you'd like more information about the Lowe's Build & Grow Clinics, visit http://lowesbuildandgrow.com/pages/default.aspx. Here are a few things I thought you might also enjoy. Check out my Earth Day board on Pinterest. Check out my Earth Day selections at My Amazon Bookstore. Great Earth Day resources! Thank you! You are too funny! Thanks for the giggle & sincere thanks for the links! I haven't taught Earth Day in YEARS! But you are so right, with the CC coming our way, it has brought back meaningful and CONNECTED learning through theme! I have actually been excited about that! Thanks for the Pinterest board - I found SOOOOO many cute things to do this coming week. Isn't it nice to have a little freedom in our teaching, too? I like that even though there are stringent requirements for what is to be taught, the avenue for which we teach it can be as varied as each of us. :) I'm so glad you found things you could use! I've never done Earth day with my kids either. I'm planning to do some next week. We're finishing up oceans and then reading The Great Kapok Tree and talk a little about rain forests. We're still using the basal but I add a lot of my own reading part. Mostly I just follow the phonics part. I've been enjoying trying to teach more thematically this year. Yay! Someone else that hasn't taught Earth Day before! I don't feel like such a loner now! Ha! This is our first year to be basal free in Reading. We've never had one for Math, Science or Social Studies. I know that even when we were using the basal, we added a lot of our own ideas, too just to make it feel like we had a little ownership in what we were doing. I really like the scope and sequence of our basal though, but since it only taught a sound a week and only 20 sight words, we basically had to quit using it because it wasn't rigorous enough in certain areas. Teaching thematically has been fun because we get to incorporate all areas of teaching, but this first year has been difficult trying to find everything we needed to meet all areas. We really seemed to come up short with Shared Reading opportunities that went along with our themes that students could actually read themselves. Even the Shared Reading we were doing in our basal was still a little hard for the kids to read. Like many others, we are going thematic next year. How did you decide what to teach and when? My team and I are finding it a bit overwhelming to come up with our "own" curriculum!! Any ideas you are willing to share for tackling the job would be awesome!! Hi Steph! I'm going to post a response on your blog to make sure you get it. Thank you so much for the reply! I found some pacing guides and gave them to my team. We would love a list of themes if you wouldn't mind! We were thinking of using seasonal type themes. I also follow Mrs. Wills and Mrs. Jump and we have used some of their things this year. Thank you again for your help!! Thanks for all of the great ideas! I don't have a lot of lesson ideas for Earth Day so this is very helpful! I think I might try playing that Let's Recycle Sorting Game with my kiddos tomorrow! Thank you, Meredith! I hope your kiddos will enjoy the game!